There could be as many as 17 million rooftop units (RTUs) running banned R-22 refrigerant just servicing our commercial buildings. This creates a huge problem. As of January 1, 2020 the only available source of R-22 will be recycled refrigerant from units that you already own, or reclaimed R-22, processed by an EPA certified reclaimer. The price of R-22 is already skyrocketing, with wholesale prices now over $20 per pound. In small quantities, the retail price can be $60/lb or more. How will these units be serviced in the future, as price rises, and ready supply of R-22 disappears? 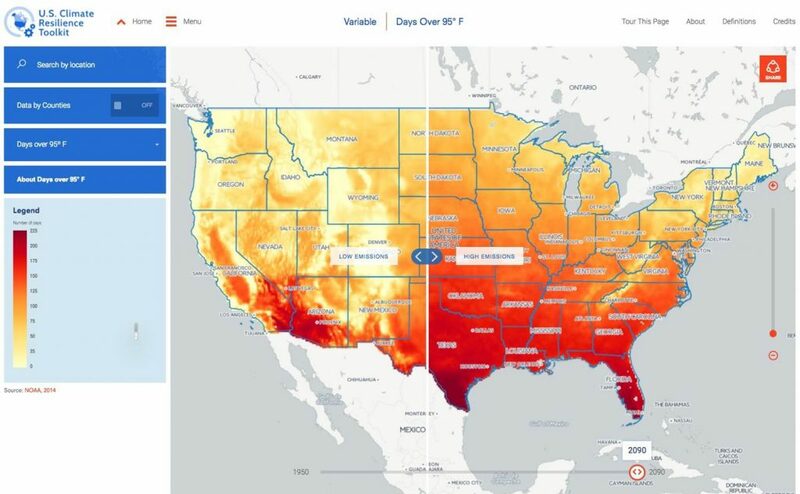 There is little quantitative data available about the stock of RTUs installed on commercial buildings, and even less about the equipment condition, refrigerant charge, and equipment use. A Trane field test (DuChane & Rehder,as reported at RFMA 2013) found that 48 percent of RTUs fell outside (+/- 5%) of the correct charge. They sampled only 40 units. A similar study reported by UCDavis(AirCare Plus, 98 units) found just over 40 percent of RTUs tested required additional charge. 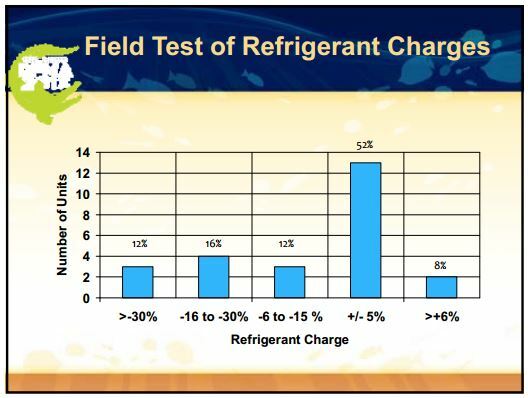 If more than 40% of these RTUs may today already require additional refrigerant charge, the numbers are staggering. There could be a need for almost 100 million pounds of R-22, just to properly charge what’s out there today. That’s almost $3.5 billion of R-22 (refrigerant only, service and repair costs extra) at today’s retail price. The good news (if adding banned, ozone depleting chemicals to leaky old equipment, can be considered good), is that properly charging these units could reduce energy consumption in the US by roughly $12 billion dollars per year! That’s right, if the Trane sample reflects the condition of the entire RTU stock, then the effective efficiency is about EER 7.3. This is entirely due to improper refrigerant charge. 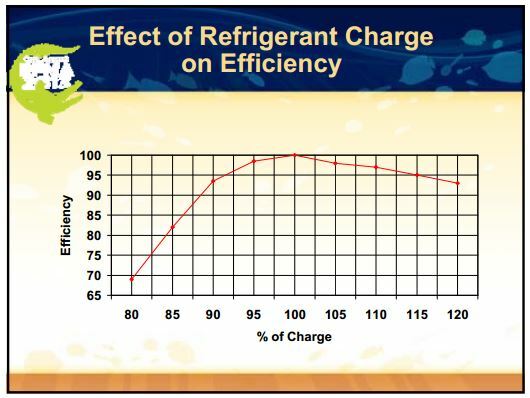 Refrigerant charge alone may be responsible for about a 20 percent loss in energy efficiency in almost 50 billion square feet of commercial buildings. Recharging all these rooftop units should move the average energy efficiency ratio from 7.3 to 8.9 (for fully charged units) and could save $0.25 per sq.ft. over about 47 billion square feet (at 14.5 cents per kWhr). A better option, replacing these leaky RTU units with high performance RTUs, could save even more. Moving from an average EER of 7.3 to 12 could save approximately 50 cents per sqft per year, or approximately $23 billion annually. The bad news is that the R-22 has leaked out of all these units. Small, standard efficiency RTUs may have 2-4 lbs of R-22 per ton of cooling. Larger and high performance RTUs will require more. Many commercial units contain more than 50 lbs of refrigerant, and in California require registration with the California Air Registration Board.. In 2013 this Board received reports of R-22 leakage of 179,778 lbs, with a CO2 equivalent of 147,730 tons. By my quick calculation there is at least 175 million pounds of R-22 in use in RTUs in commercial buildings across North America, and leakage may be an 82 million pound problem just in commercial RTUs. Mandatory reporting is not required for refrigeration systems with less than a 50 lb charge, but that’s where the bulk of the refrigerant is used. If you are a building owner with a portfolio of RTUs with R-22 refrigerant, you have some decisions to make. 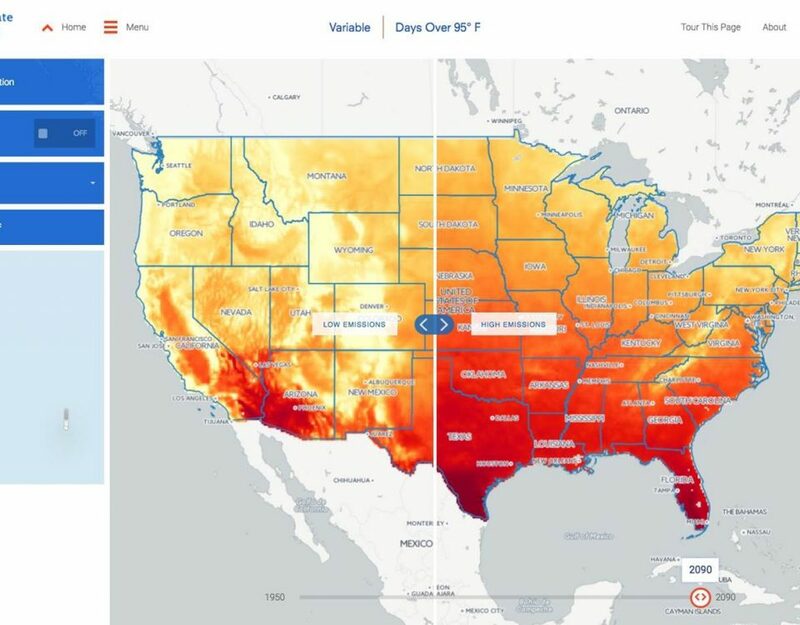 Replacement of older RTUs may cost around $3 per sqft, but will reduce your expected cost of future repairs by $2 or more, and save you 50 cents or more in annual energy costs. The tipping point may well be the financial, compliance and environmental cost of future refrigerant charges. New units are more efficient and use environmentally friendlier, and less expensive, refrigerants. My numbers may be off by a few million, here and there, but whatever way we look at it, we need to undertake a massive transformation of our HVAC systems, and the sooner the better. For building owners, understanding the current state of your RTU portfolio, and planning for transition should be a priority. The year 2020 is only a few years away. The 80 million lbs of refrigerant released by leaky RtUs would be the equivalent of 67 million tons of CO2. Interesting article. I do not know what the costs are for other “replacement” refrigerants such as R422D which can be used in lieu of R22, although that can be easily studied. Industry changes into the future will demand improving energy efficiency from RTU’s. Life expectancies may decrease when economic factor’s such as scarcity of installed refrigants, operating efficiency, existing design & use of system, and real-time efficiency are considered. Nice, thought provoking article, thanks!